OK, fair is fair. The show actually doesn’t open until tomorrow. There have been press events and all, but the main action at the convention center doesn’t start until tomorrow at 10am. 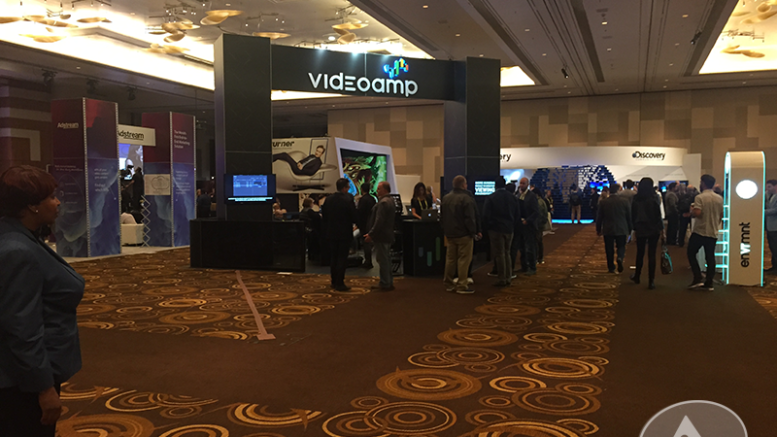 So what, exactly, did we expect to see at “Tech South,” the exhibit space at the Aria hotel? Well I’m not 100% sure but I have to tell you I expected a little more than this. The photo above shows the scene at the Aria convention space, where a speech was taking place and the exhibit floor was effectively empty. The only really exciting place in the whole hall was The Verge’s blogging HQ, which seemed to have about 50 staffers. Let’s just say our blog team’s a wee bit smaller than that. There were some big names there to be sure… Discovery Media was right across from Turner, who boasted the largest image of Samantha Bee that I personally have ever laid eyes upon. I’m sure the real Ms. Bee would be mildly embarrassed by her gigantic likeness, it was just so… big. I consider myself a bit of a CES veteran. My first show was way back in 2006, when a 40″ TV for under $2,000 really made news. So far, this arrival day, although hectic and filled with millennials all wearing suits at least 2 sizes too small, is much more calm than previous years. The CES show management made a change last year to charge up to $499 admission for anyone who wasn’t a technology buyer, seller, or a member of the press. That change was made primarily because, at 140,000 attendees, the show was too big even for Las Vegas to stomach effectively. While hotels are still sold out and taxis (and Ubers) are a little strained, it seems like this will be a much calmer show and much more manageable. In fact, it sort of makes you wonder why the organizers even felt like they needed to have any sort of exhibit space over here at the Aria hotel. It’s certainly not a “must-see” … in fact there was a distinct air of desperation in the way the people at the Spotify booth were corraling people into their booth and practically begging them to walk through it slowly. It was a nice enough booth but I’m sure my life would have gone on if I hadn’t gone in. Last year the Sands and Venetian were home to wearable technologies, STEM, and other handheld gadgets not completely out of place at the AVN show. It was the place where we saw the Wi-Fi enabled pet cam that let you feed your pet remotely if your pet called you. No I am not making that up. We may also make it over to the main hall to see our friends at DISH and others displaying all their cool stuff amidst what are sure to be approximately 1.5 zillion televisions. Stay tuned and we’ll bring you all the goodness!